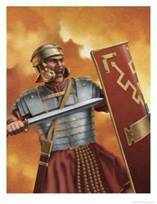 Click on the picture to find out more information about scheduling a performance of Steve's re-enactment of the Roman guard at the tomb of Christ. Student's at North Central High School in Indianapolis have written and illustrated The Tale of Phaethon, which they will read and give to child victims of domestic violence. To purchase a copy and support this project, please click the cover of our book. What follows are links to my published writings. Please click on the picture of a book cover to find out more about the book, how to purchase your own copies, and how to take advantage of special discount offers. My two most recent books are collections of prayers and devotions. The first, The Other Side of Heaven is a bi-lingual Latin and English collection of prayers. The second, Desert Days: Forty Devotions for Men, is a collection of devotions taken from the last nine years of my Online Devotions specifically chosen to address issues in the lives of men. My first novel came out in the fall of 2006. A Father's Footsteps tells the story of a computer account executive who discovers a new love for golf while on a company outing in Myrtle Beach. Along the way he finds something even more important...himself. Click on the picture for more info about the book, a free copy of the first chapter, and a link to order your own copy. My first book in Classical Studies, Latin for Dummies, was co-authored with Clifford Hull. 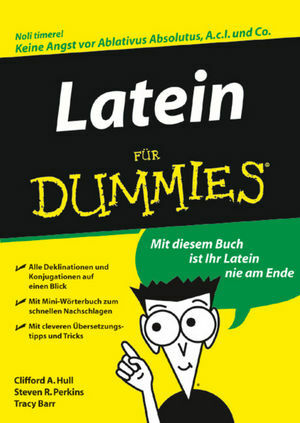 Its German translation, Latein Fur Dummies is coming out in September, 2008. Achilles in Rome: The Latin Iliad of Baebius Italicus is a translation of the 1st century A.D. Latin rendering of Homer's Iliad. I have published and edited a number of books for limited audiences. Click on the picture below to explore these titles. The following links are to my academic articles. "From Servius to Advanced Placement: The Anfractuous Path of the Helen Episode in Aeneid 2"
"Vergilian 'Works Righteousness': Salvation Through Work in the Aeneid"
"The Homoousios Doctrine and Non-Reductive Models of Consciousness: An Orthodox Christian Look at the Mind-Body Problem"
"Difficile Est Transferre Hanc Sententiam Latinam in Anglicam: The Depth and Charm of Latin Translation"
"The Heresy of Latin Haiku"
"Haicu Latinum: A Cross-Language Poetry Study"
"Higher Level Thinking, Synthesis, and Critical Scholarship: Two Projects for Third Year and Advanced Placement Latin Classes"
An Italian translation of my review...the first instance of my writing being translated! My Trojan War-based interpretation of Deep Purple's song "Burn"
My "rock 'n' roll debut" with the band Panzer singing the Latin version of Deep Purple's "Smoke on the Water"